The Fujifilm Father’s Day Report 2015 reveals that 3 in 4 Fathers want something that they can keep this year, like a printed photo, with 61% hoping to receive a hand-made gift on Father’s Day. While 8 in 10 Australians agree that a printed photo is the perfect thoughtful gift, showing that you really care about the recipient, the Report found that a third of Aussies did not print any of the photos they took in the last year. As a result, FUJIFILM is encouraging all Australians to ‘Print-a-memory’ this Father’s Day and create something thoughtful to show dads that you really care. 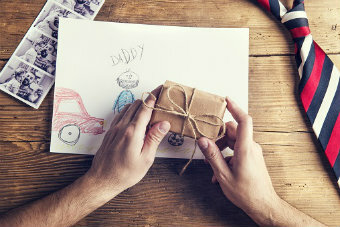 While most Australians will spend an average of $66.95 on a Father’s Day gift this year, the good news is that hand-made and sentimental gifts can be a labour of love, without needing to break the budget. Photo Printing Services powered by FUJIFILM technology, available in major Australian retail (Harvey Norman & Big W) and independent stores, offer affordable and easy to use customised photo printing gift ideas, with recommended retail prices from as low as $2.97 for a Keyring, $14.97 for a Stubby Cooler, Mug or Cushion Cover, to $69.95 for a 40x40cm Canvas Print. Making the process even easier for time poor Australians around the country, FUJIFILM Australia have developed an App called TransPix®, which allows you to print on the spot in-store, straight from your mobile phone directly to a photo printing kiosk; they have also developed the Imagine Platform, for customers who want the convenience to print their photos online or via their mobile phone remotely. This September, give dad what he really wants and ‘Print-a-memory’ to create something that he can cherish. The 2015 Fujifilm Father’s Day Report was commissioned by FUJIFILM Australia and conducted by Lonergan Research. The research was conducted online among 1,054 Australians aged 18 years and over across Australia. The fieldwork commenced Friday 31St July and was completed Tuesday 4th August 2015. The statistics referring to planning time and spending on Father’s Day gifts are based on those Aussies who have Dads living in Australia. This research was carried out in accordance with the ISO 20252 standard. Data was weighted to the latest population estimates sourced from the Australian Bureau of Statistics.